Huang, J., Huang, F., Wang, Z., Zhang, X., Yu, H., 2017. 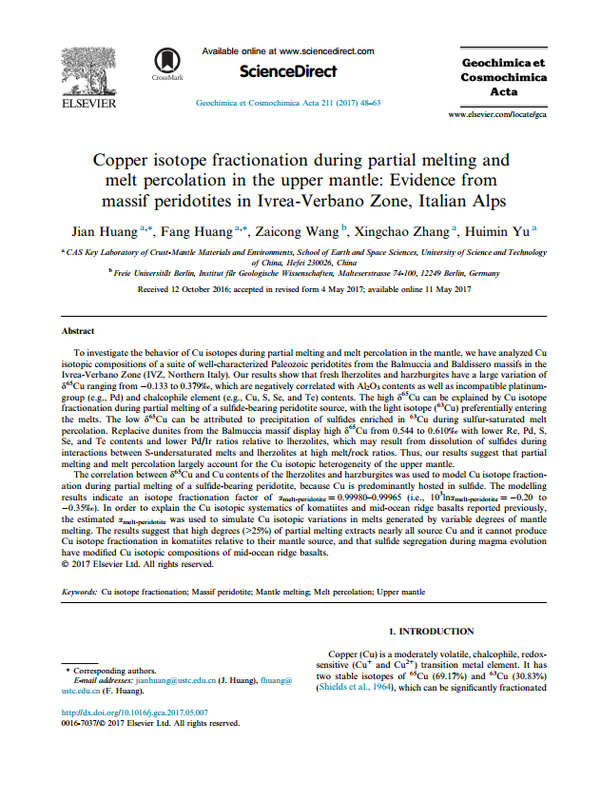 Copper isotopefractionation during partial melting and melt percolation in the upper mantle:Evidence from massif peridotites in Ivrea-Verbano Zone, Italian Alps. Geochimicaet Cosmochimica Acta. 211, 48-63.